A new study published added another piece of evidence suggesting that maltodextrin, a thickener/filler found in prepackaged food, may have harmful effects regarding inflammatory processes in the body. Maltodextrin is a FDA-approved food additive, commonly used as a thickener or filler in prepackaged food. It's a white powder made from corn, rice, potato starch, or wheat. Even though it comes from plants, it’s highly processed. To make it, first the starches are cooked, and then acids or enzymes such as heat-stable bacterial alpha-amylase are added to break it down further. The resulting white powder is water-soluble and has a neutral taste. 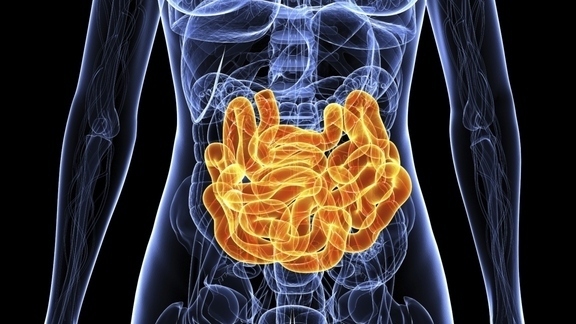 Inflammatory bowel diseases (IBD) is a condition that relapsing inflammation in gut. In U.S., there are approximately 3 million adults affected and globally, around 5 million. IBD is a complex disease and believed to be influenced by interactions between ourgenetic makeup, our microbiota and environment, such as, our diet. Coincidentally, the shift towards "western diet" in developing countries is believed to contribute to the rising trend of IBD in those countries. Canadian doctors have noted that the rates of inflammatory bowel disease (IBD) in children have grown exponentially. Generally, the disease would show around age 20. Recently, though, prevalence in children under 5 has been increasing. In this study, the authors compare the effect of 3 types of thickeners, animal gelatin, propyl glycol and maltodextrin, on gut health in laboratory mice. With the exception of animal gelatin, propyl glycol and maltodextrin are synthetic thickeners. In the experiment, the thickeners were dissolved in water and fed to mice before treating the mice with dextran sodium sulfate (DSS), a chemical that induce symptoms similar to human IBD in mice. Researchers later examined the colons and found that mice fed with maltodextrin had worsened gut inflammation, when compared with other 2 groups. Importantly, scientists found that maltodextrin acts as a stressor to colonic epithelial cells, the cells that are next to the lumen and form the first line of defense in the gut. Under stress, the colonic epithelial cells produce less mucus which forms a protective barrier for the gut against potential pathogens in their gut. Studies in recent years on maltodextrin have already shown that having maltodextrin in diet promotes E. coli attachment and expansion in the gut of laboratory animals, although maltodextrin do not cause disease itself. In line with these evidences, the scientists in this study showed, for the first time, that maltodextrin had direct effect on our cells and might worsen inflammation in the presence of a trigger (i.e. DSS), and proposed a possible mechanism in explaining how it happened. With this, potential therapeutic targets can be identified. Given that we don't really understand how IBD is triggered or whether we are ourselves prone to have IBD, it is safe to say that we should try to avoid having prepackaged food. Furthermore, hopefully, the current research work will path a way for future population studies on maltodextrin consumption and IBD. The results of these studies may affect how FDA establish the standard of food safety.